Normally I moan about old monsters returning to these audios because they don't work sometimes but the return of the Master, especially when he is being played by Geoffrey Beevers is something that I managed to get right behind. There is something about Beevers's Master that was so scary, his voice is so silky and smooth and you can't help but fall under his influence. Like most of the single disc releases from Big Finish, Trail of the White Worm is really, really good. But the problem is, is that it is too short for its own good and because of this there is an awful lot of building up and not a lot of payoff. Once the Doctor finally works out what is going on there is only ten minutes of the thing left and there is a cliffhanger at the end of this one that leads on into The Osedion Adventure which is its own story. That's a shame because there were enough twists and turns in this one for the second part to be completely connected. I found that the Doctor and Leela are relegated to the backseat for this story which chooses to focus on the other characters. The Doctor and Leela spend most of their time reacting to other characters but of course, Tom Baker and Louise Jameson are as wonderful as ever. But the villagers never really distinquish themselves despite having some good actors playing them. I think that Michael Cochrane does a really good as Spindleton whose story continues in The Osedion Adventure. But the definite highlight in terms of performance is Geoffrey Beevers as The Master. When one listens to The Osedion Adventure, you realise that the cliffhanger should have perhaps 30 seconds longer to really get us excited for the next adventure. Overall, Trail of the White Worm is good fun that sort of evoks the mid-70s feel that this series is aiming for but one does wish it could have been developed a bit more. 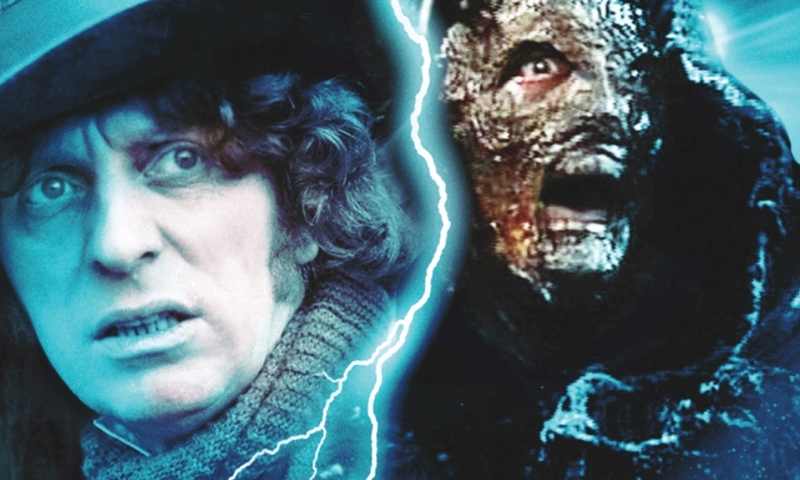 TRAIL OF THE WHITE WORM, WRITTEN BY ALAN BARNES AND STARRING TOM BAKER AND LOUISE JAMESON WAS RELEASED BY BIG FINISH PRODUCTIONS IN MAY 2012.